Yeah, Jaden Smith! Like, Jaden "Fresh Prince of Bel-Air II" Smith; Jaden "Kaz Kaan" Smith; Jaden "The Karate Kung Fu Kid" Smith. That's him! He's coming to Arkham! Having distanced himself from the film industry following a... not-great film, and reinventing himself as a rapper/songwriter. 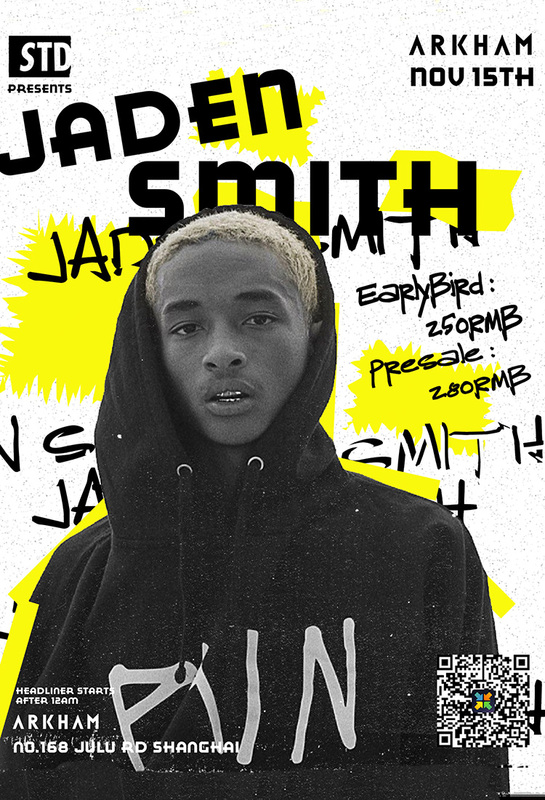 Jaden Smith's released two mixtapes, a bunch of singles, and appeared on tunes like "Sin" by Young Thug, and "Perry Aye" with ASAP Mob. His first album, "Syre," from 2017, spawned five singles, including "Icon" and "Batman," both fly AF. His second album, "The Sunset Tapes: A Cool Tape Story," was announced about a month ago and set for a Nov 17 release date. Maybe he'll play something from that, if the crowds ask real nice. He's on at Arkham for a headliner set, coming onstage sometime after midnight.